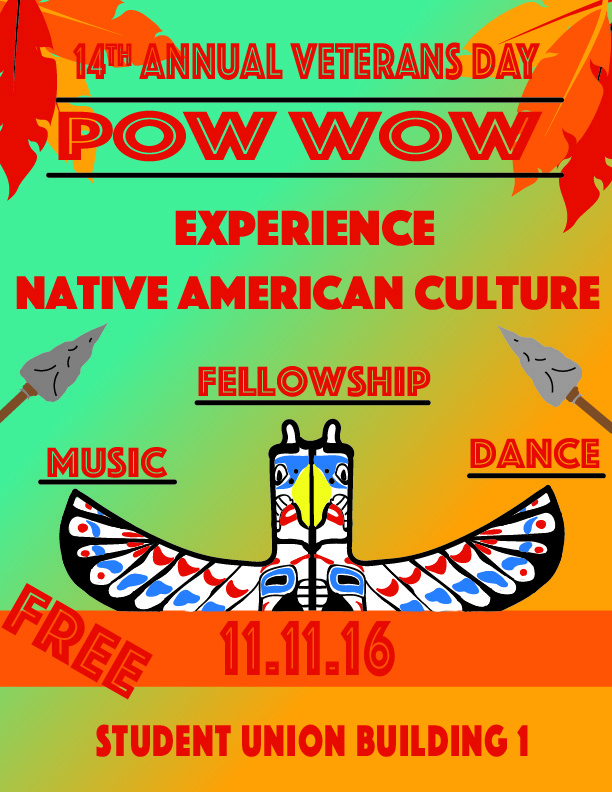 The Native American and Indigenous Alliance (NAIA) will host its 14th annual Veterans Day Powwow Friday, Nov. 11. The event, which will take place on the SUB I quad, features Native American culture while also commemorating the sacrifices of veterans from across the country. According to the Merriam-Webster Dictionary’s website, a powwow is a social gathering of Native Americans that usually includes food and dancing. As for NAIA’s powwow, “It is a Veterans Day powwow, so we celebrate veterans, both Native and non-Native veterans here in the community. 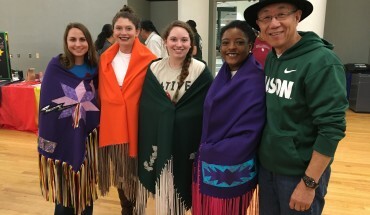 It’s also a way for us to celebrate Native American heritage here on campus and in the Northern Virginia community at large,” Janie Stallings, president of NAIA and a history major with a minor in Native American and indigenous studies, said. 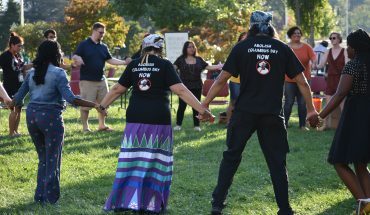 The first Veterans Day Powwow was hosted in 2002 by NAIA’s precursor, the Native American and Alaskan Student Association (the organization’s name changed in 2010 to what it is currently to be more inclusive.) Stalling said that the first powwow was a much smaller event, but the events have grown exponentially in both size and scope in the past 14 years. Current NAIA students work closely with alumni members to organize the event, from preparing the gifts for the participants to contacting Native leaders in the community. Stalling said planning for the powwow starts at least a year in advance, and the club starts reaching out to vendors and head staff at least three months prior. 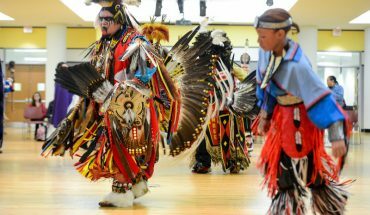 The powwow has both social dances, in which audience members can participate, and exhibition dances that showcase individual cultures and talent. Head staff includes the head man and head woman, who lead the dancers in, as well as the emcee, who narrates and will discuss the significance of the event. This year’s powwow will also feature a talk about the Dakota Access Pipeline, a crude oil pipeline developed by the Energy Transfer Partners of Dallas that will transport oil from North Dakota to Illinois but will, according to critics, disrupt Standing Rock Sioux land and drinking water. For NAIA Vice President Zintkala Eiring, the powwow is a way to connect to her roots in the Pine Ridge Indian Reservation in South Dakota. NAIA kicked off Native American Heritage Month prior to the powwow with a sage bundling workshop Oct. 26 and a powwow etiquette meeting Nov. 9, which is also “Rock your Mocs” day, for which students will be wearing their moccasins to honor indigenous people worldwide. Nov. 16, the club will be hosting a “Day of Mourning” talk and lecture about the history of Thanksgiving and a movie screening Nov. 30 to round out the month. Hamna is majoring in Government & International Politics and minoring in Spanish and Political Communications. She enjoys coffee, Law and Order: SVU, and all things Joe Biden.